Yes we finally won the award we coveted this year! 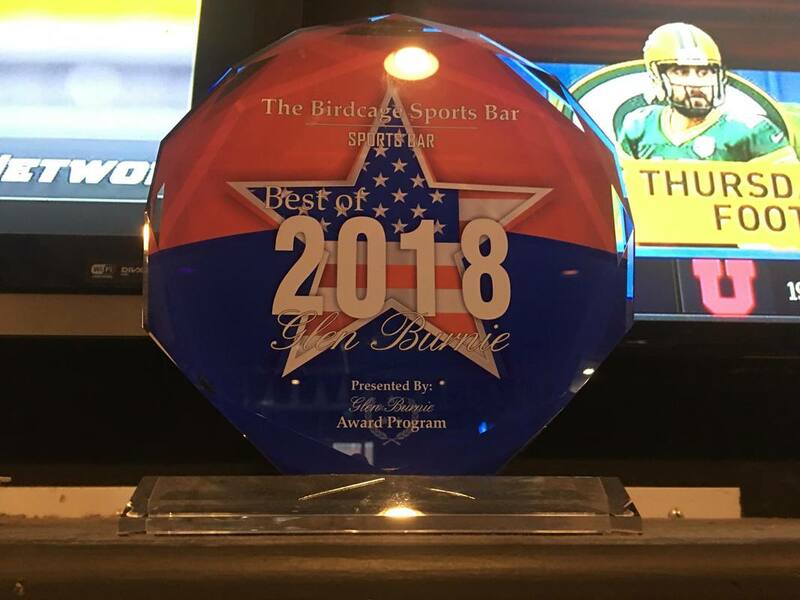 Best Sports Bar in Glen Burnie for 2018. That means you can have the best of times when you come to our wonderful family restaurant and sports bar in the Linthicum/Ferndale area of Glen Burnie, Maryland. The Birdcage allows you to have a great meal with your loved ones, view the all the big games and listen to some great local bands or DJ's..
"I absolutely love this place, amazing food and drinks." - Angel S.
"Simply the best place locally for great wings and fantastic music. We come every week to hear the great bands that they get"
Savor our famous chicken wings or any number of other tasty menu items and wonderful daily specials! Watch live sports on more than 20 TVs including (2) 120 inch Hi-Def screens and have a drink from our fully stocked bar and selection of draft and bottled beer. Another exciting month of fantastic music featuring some of the local groups you have come to love. We also have Open Mic night on Monday and Tuesdays and Karaoke on Wednesday nights. "Great place to go for a fun night. The food is very good, the service is excellent. Had a wonderful Birthday celebration with my Sister and family here tonight. Thanks Ed, and to all the staff for making it so enjoyable. Thanks also to all the band members, great music and thanks for the birthday shout out." "The steak and cheese was 1 of the best I've ever had. We live an hour and a half away and I would drive here just for the steak and cheese. The bam bam burger was awesome too, only thing, not to fond on the fries. But extremely fast service. Sat here for 5 mins until they brought the food!" "Amazing is all I can say! Ed and his staff handled our party without a hitch, food and service were the best!! Highly recommend for watching a game, listening to a band, eating and of course drinking! Ed, thank you for making our special day that much more special!! Laura and I can't thank you enough!!" 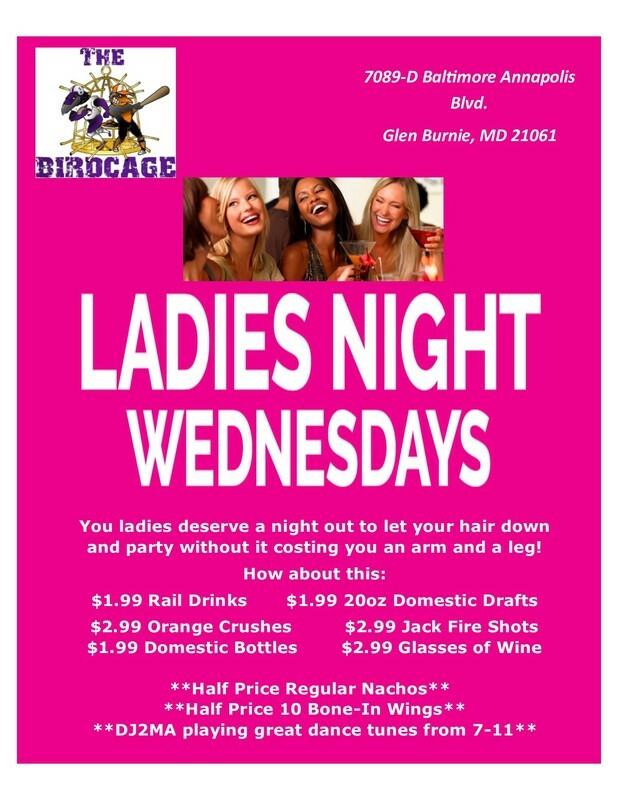 "We love Birdcage! The live music is a big deal for us and Ed always keeps it fresh with new bands/groups being introduced to this area. There aren't many places that still book live music and we love it! The staff is friendly and the drinks are mixed well. The steak quesadillas are really good!" The Birdcage. All Rights Reserved, 2017. Designed by EMS.